Of course. Who else but THE main pop girl. We stan a powerful legend. 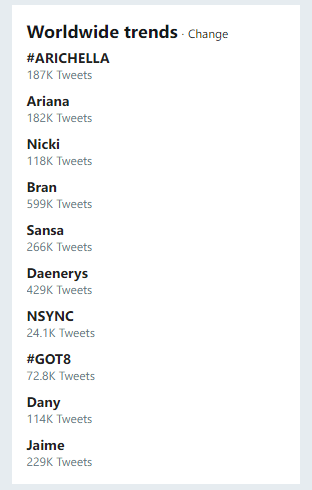 Is that even in order when Bran, Daenerys and Sansa have more tweets about them?